Here, July 2006 was hotter than this year. However in 2006 we had 41mm lovely rain, after 36mm in June ’06, whereas this year the figures to 28th July are 6mm & 4mm respectively, most unusual for the UK. My hose has been busy and no dig mulch is helping a lot. Then yesterday afternoon we had heavy showers with 11mm rain, followed by more as I write. I hope you are having some too. Borlotti beans on left are suffereing moisture competition with the squash. We just started watering the teepees to right. 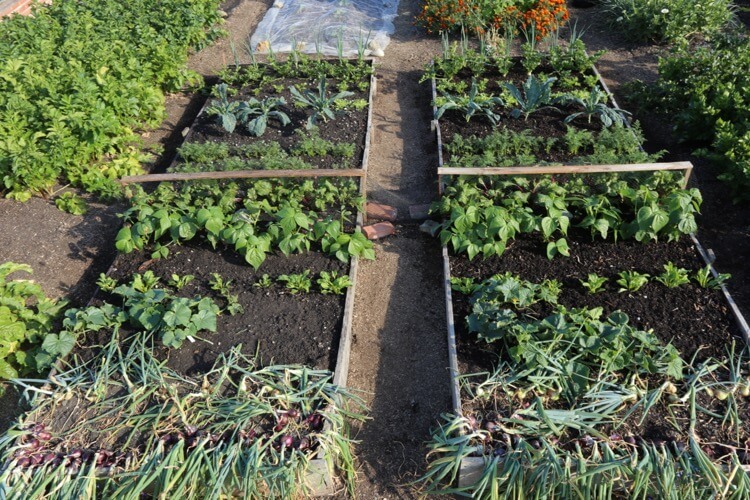 In the trial, we give the same amount of water to dig and no dig beds. 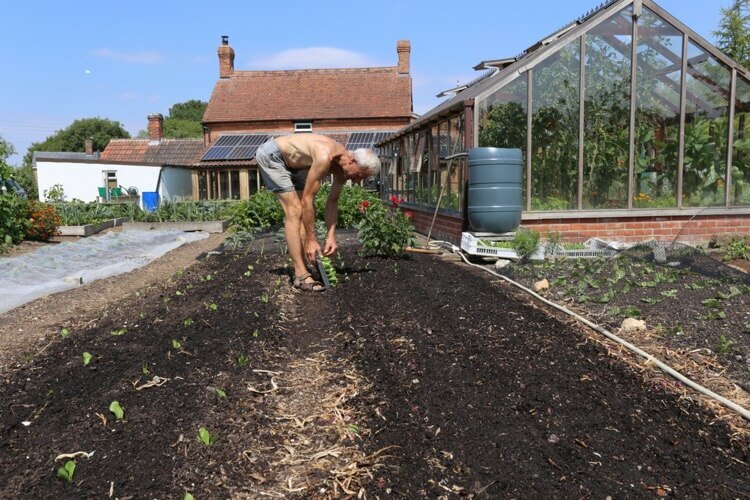 While it would be fascinating not to water them at all, and see which veg died first, I prefer to carry on cropping! 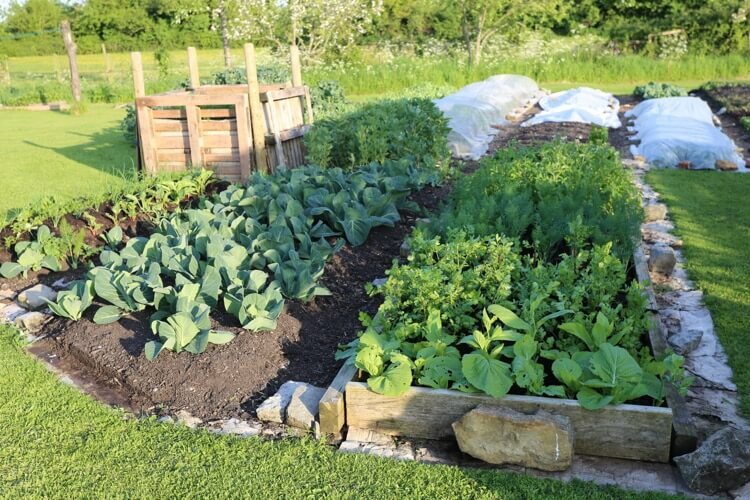 Veg on the no dig bed are looking mostly stronger, and harvests so far in 2018 are 28kg dig, 42kg no dig. We are not watering all veg, even celeriac is unwatered so far, on the basis that water is most efficiently applied close to harvest. That is, after watering new plantings so they establish. You could say, water at the beginning and at the end. 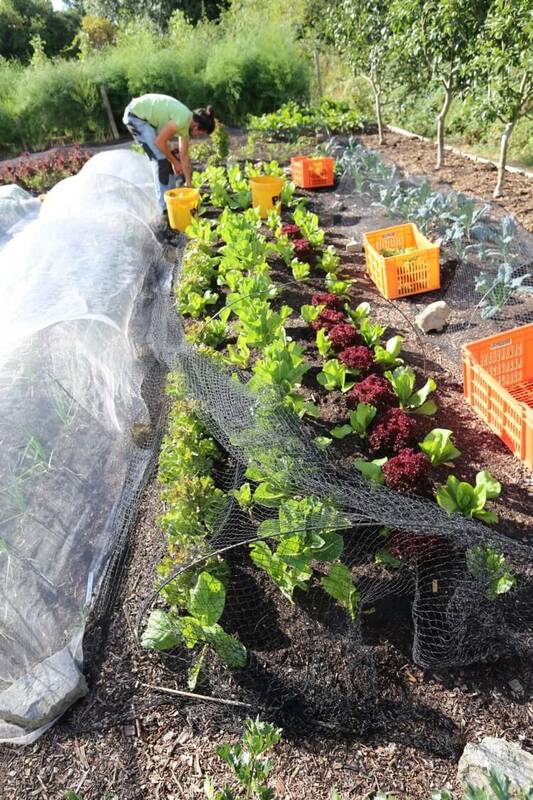 Exceptions are leaf veg such as kale and salads, which need water all the time while cropping. 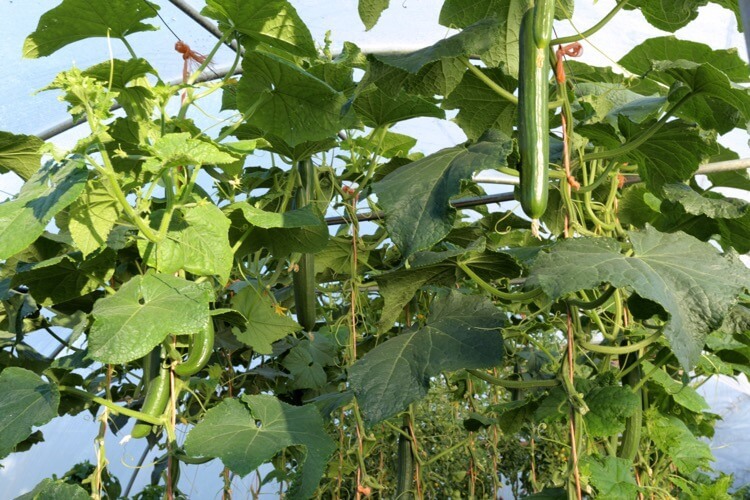 And veg that are fruiting such as beans, tomatoes (not too much or they lose sweetness), cucumbers and apple trees! 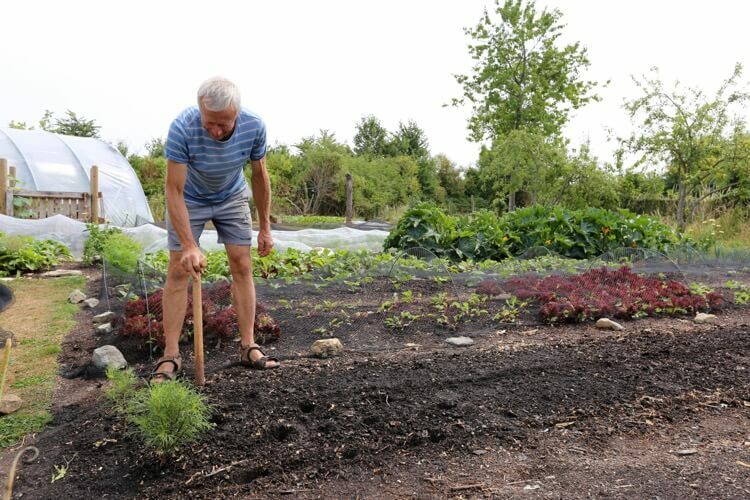 The small garden is cropping well with a lovely variety of summer harvests: tomatoes, French beans, lettuce, onions, peppers, beetroot, French beans and soon see kale. There is a video series explaining how I do this and here is early June. This area was weedy grass last autumn, November 2017. Steph helped to spread compost (including old manure) on cardboard we had laid over the weeds. 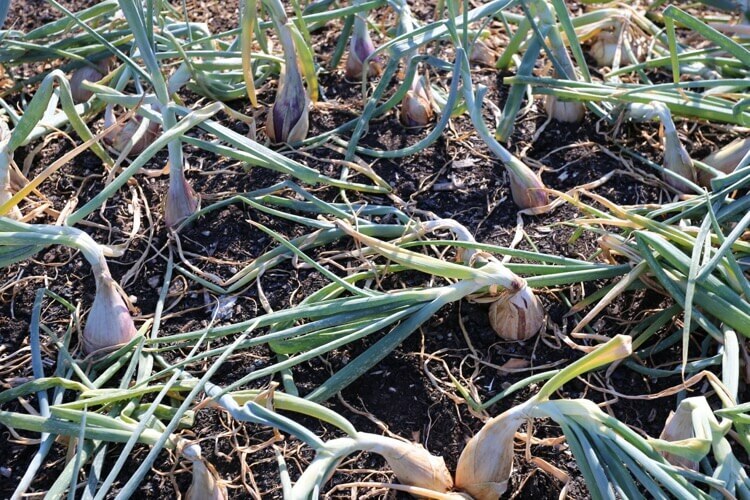 The photos show first and second crops in 2018, with almost no weeding needed. 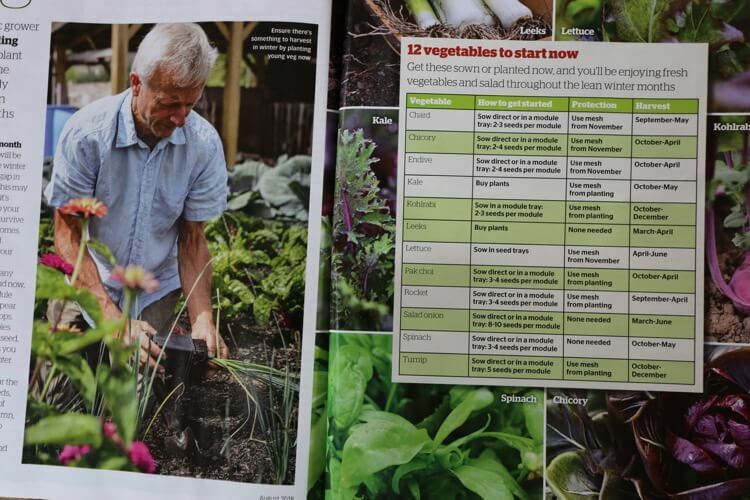 August is fantastic for sowing many veg such as salad rocket, oriental leaves, turnips and spinach. 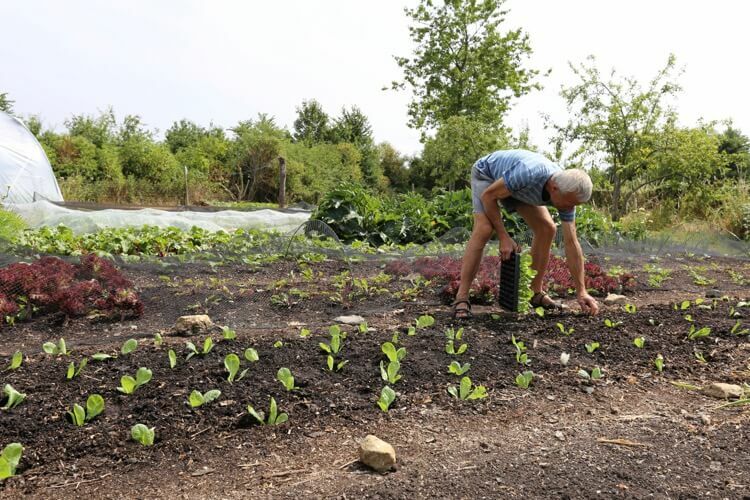 Sow by mid month in order to have vigorous harvests through autumn, sow late month for smaller plants in autumn that may overwinter more strongly. 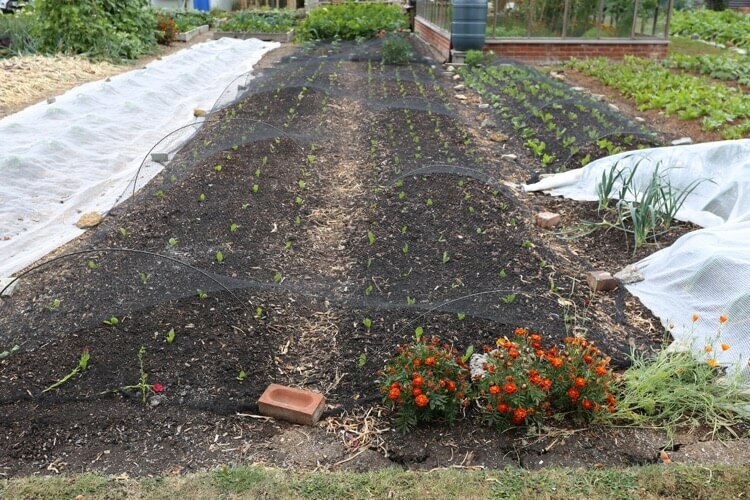 spinach – spring onion – spring cabbage late August for overwintering small. July is always such a giving month. I have posted a video on my channel about harvesting potatoes. 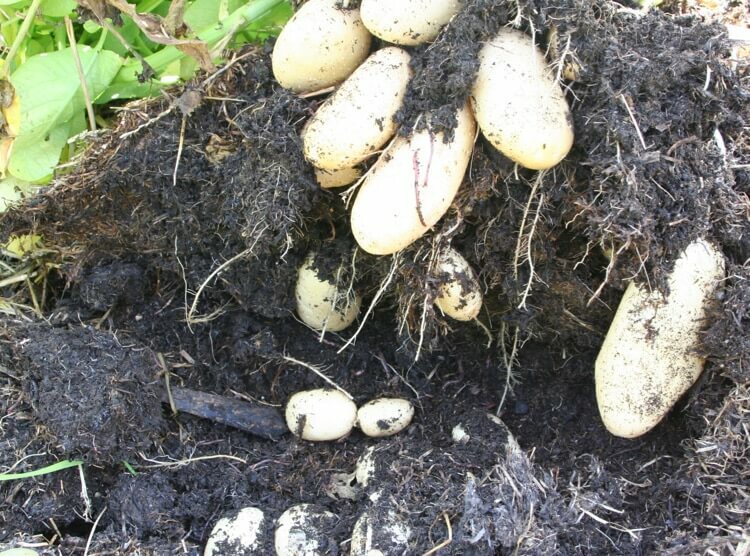 Harvest of no dig Charlotte potatoes in July 2011: the video is 2018 & they are smaller! Because of the unusual dryness, I have relaxed my mulch method and am trialling some less decomposed materials, which in a normal summer here would harbour slugs. In 2018, the digestate I was given (by product of methane production) is helping to conserve moisture. It is grass and maize. However, mulches like this conserve only moisture which is already present. Once roots have sucked that out, they are not a magic way of producing more moisture. They just slow the evaporation, and perhaps help roots by keeping soil cooler – normally a disadvantage here. 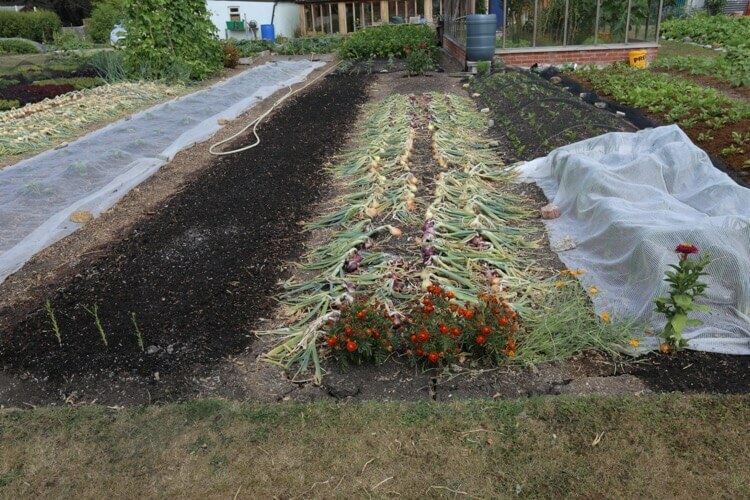 Most of my beds are mulched simply with compost and results this summer are fantastic. We are using a lot of water for new plantings, but I figure it’s worth paying for, compared to leaving ground bare. I hope that by September these crops can bulk up with rain! 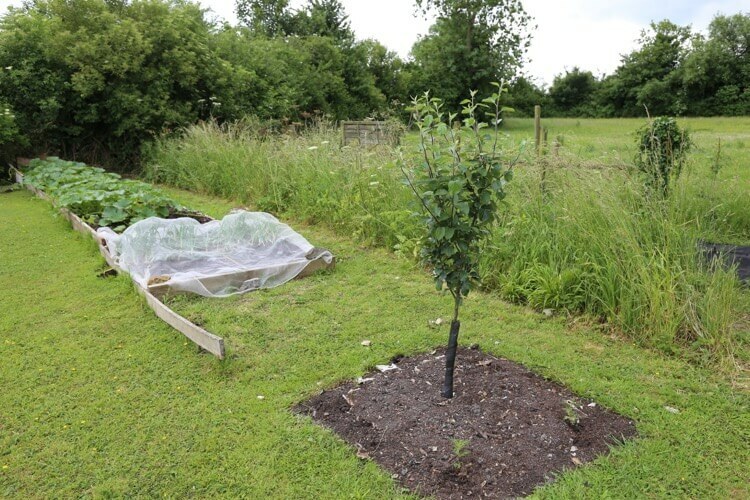 Replanting no dig beds is quick, just dib holes and pop in the modules, no other preparation or new feeds. Most of my chicories for hearts are now in the ground. 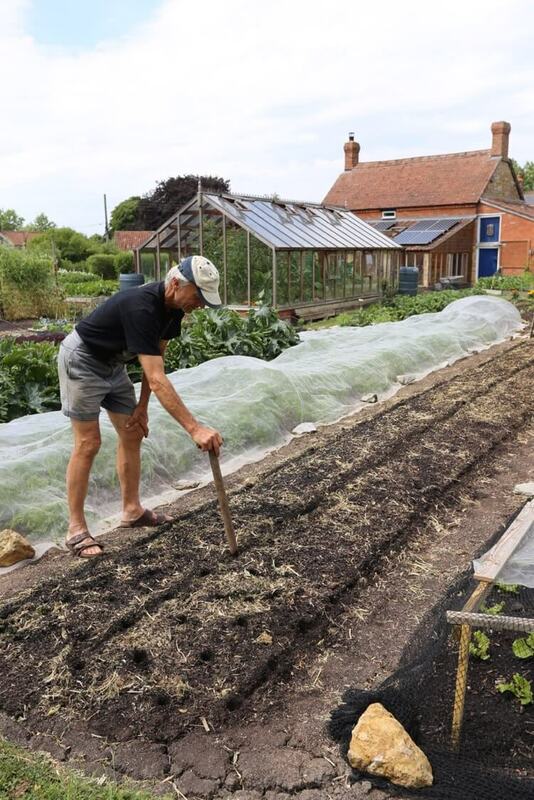 These beds were peas and onions until recently. 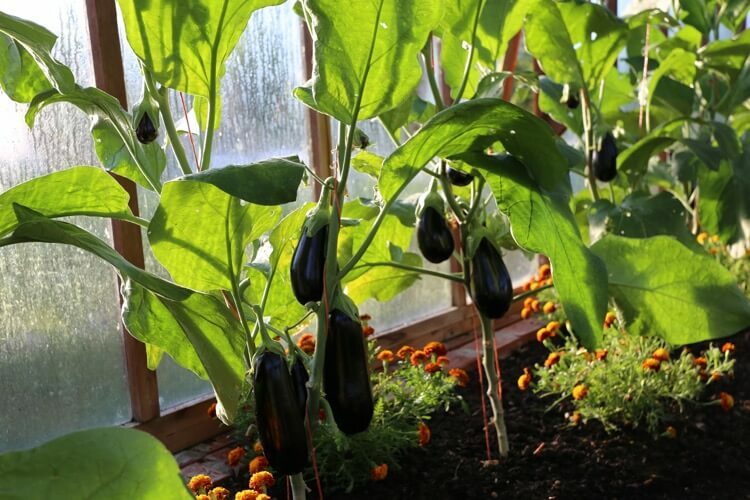 The chicories are from Bingenheim seeds, two types – Palla Rossa and Treviso, for salad bags in late autumn to early winter. 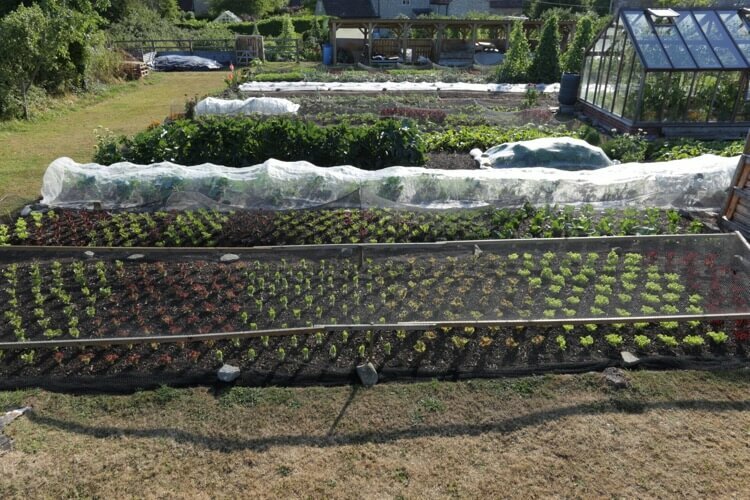 We always run out of space in summer so I use interplanting to overlap crops, meaning you don’t need open spaces for new plants. 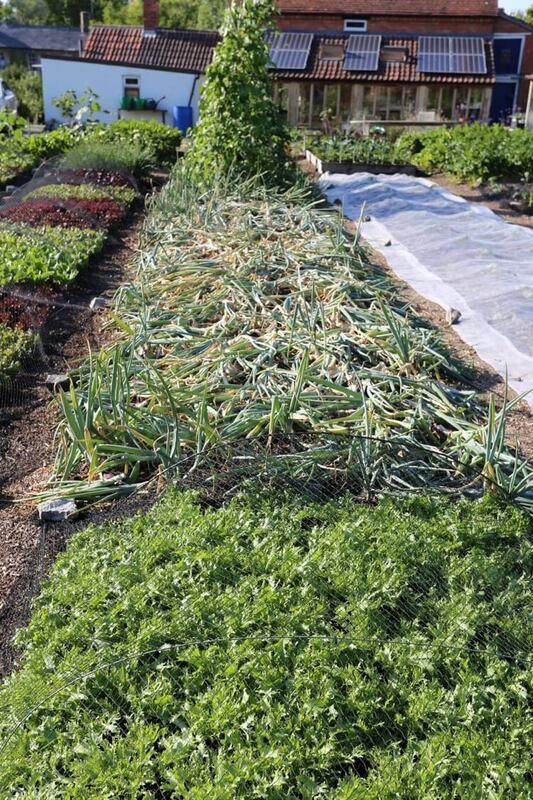 These photos show leeks that went in just three days earlier, between lettuce that are being cropped every week for another 5-6 weeks. 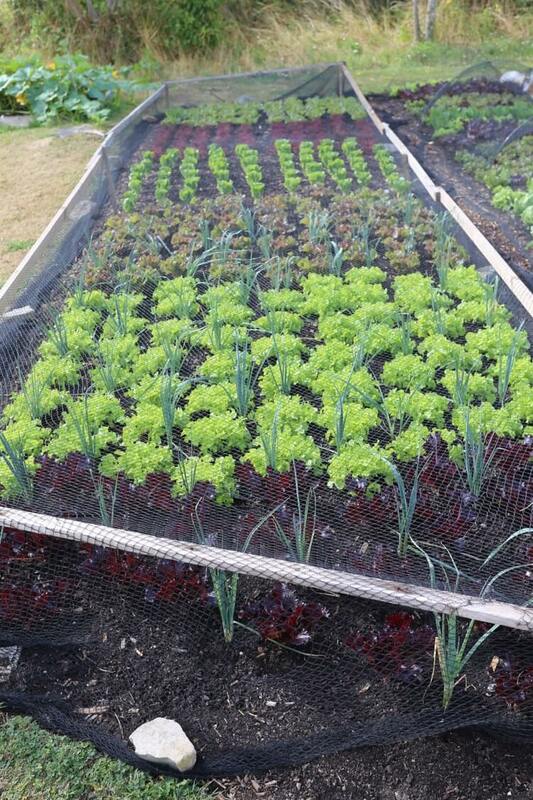 Interplanted leeks between lettuce which we harvest weekly. I am not covering these against leek moth, see below. CATERPILLARS are in the ascendant, how they love the dry weather, or rather the butterflies and moths do. I have been amazed to see so much damage on sweet basil in the greenhouse, little butterflies and small green caterpillar-worms, even after spraying with Bacillus thuringiensis. 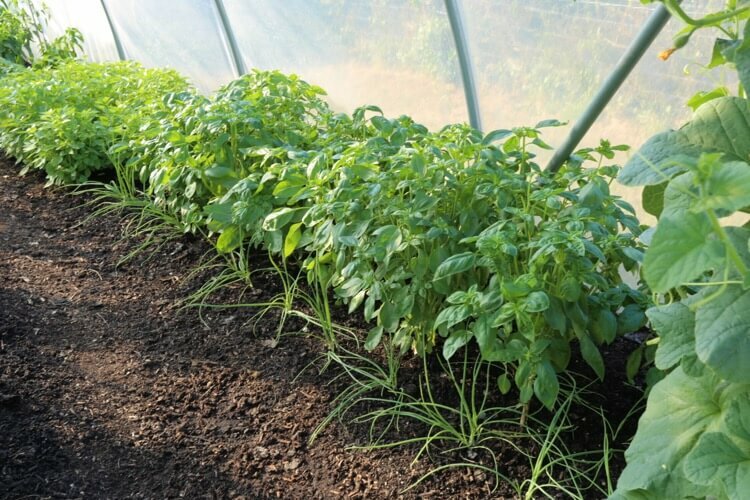 However the polytunnel basil is healthy by comparison. 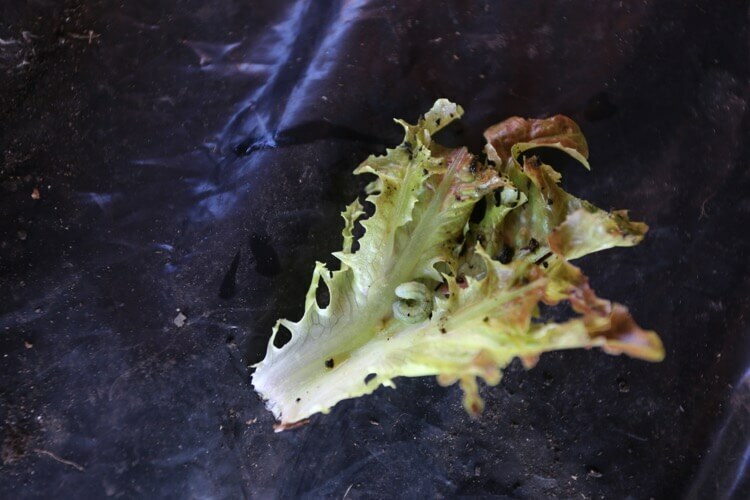 We even found caterpillars in some lettuce, mostly the red oak leaf types. 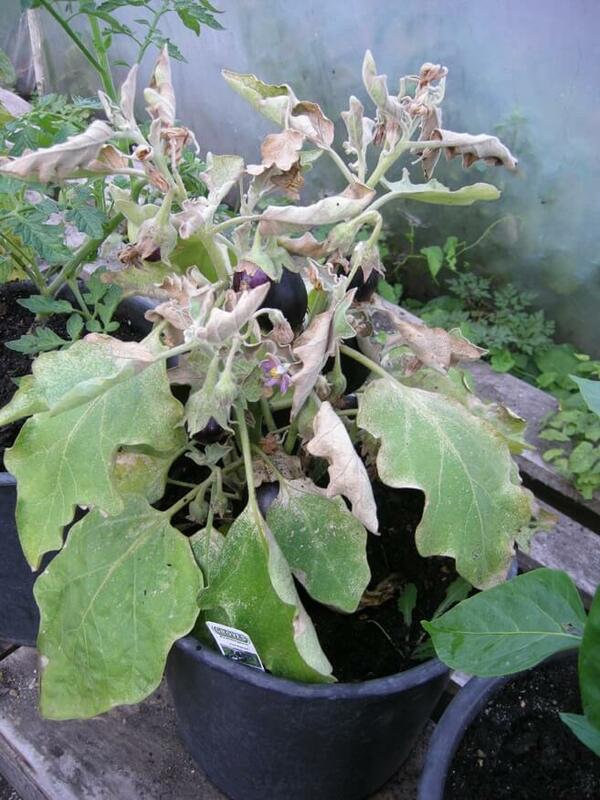 So far my cucumbers and aubergines are free of red spider but I include a photo from a correspondent to show the damage they can do, and those plants are goners imo. 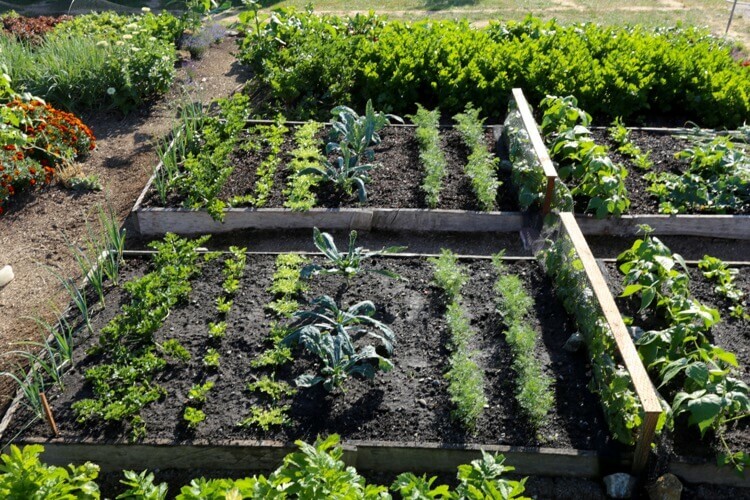 Best remedy is healthy soil so plants do not succumb, perhaps until later in the summer. 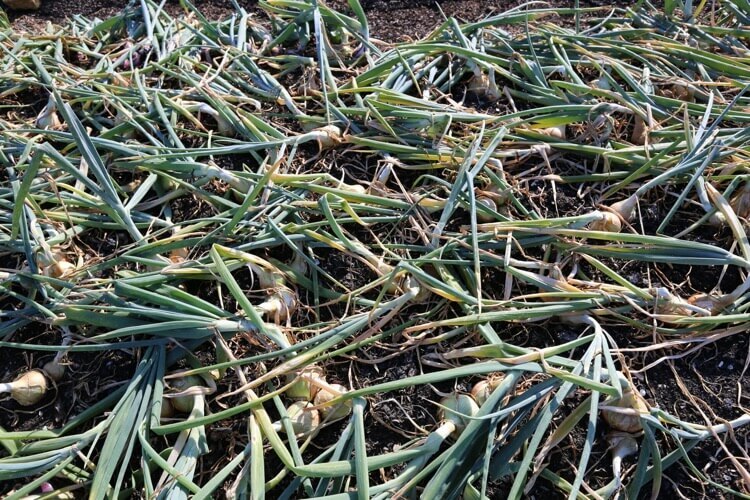 Leek moth is a problem in warmer areas, see more about it on this forum post. It’s been great weather for it. 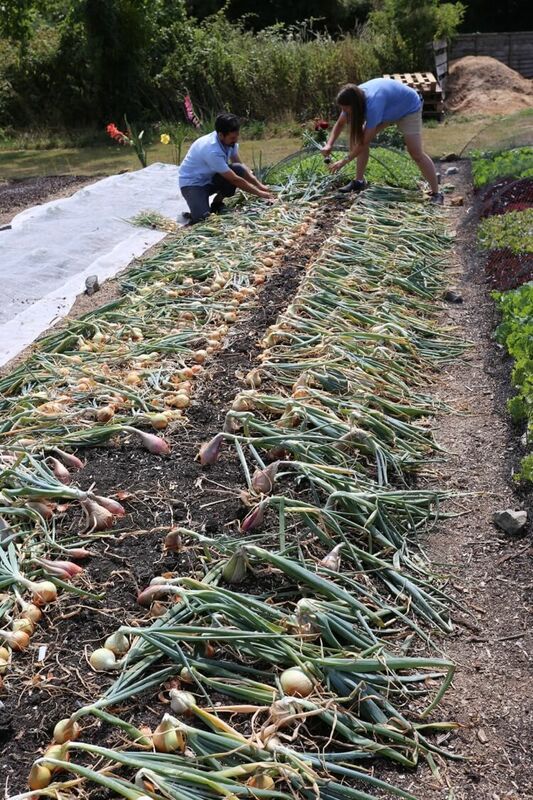 Best pull onions when say half green, or most tops are fallen over. Bend them at the neck to make trimming and storage easier. Bunch into ropes towards the end of August when necks are mostly dry. 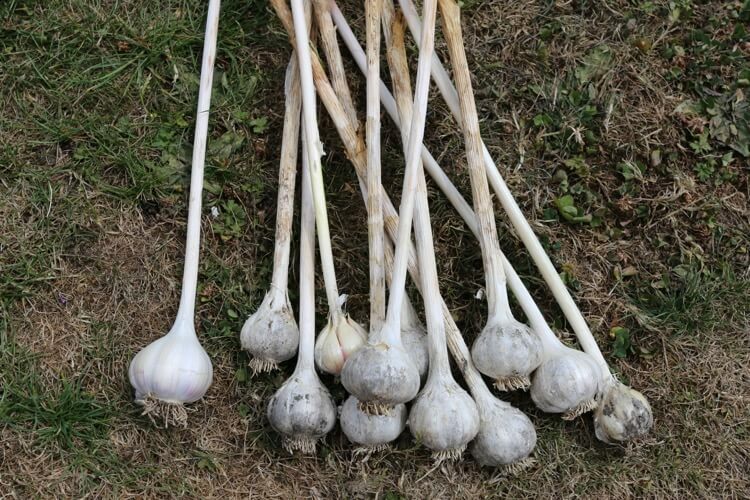 We have some great Zebrune shallots, sown mid February. But germination was poor so they are bigger and less numerous than I intended. 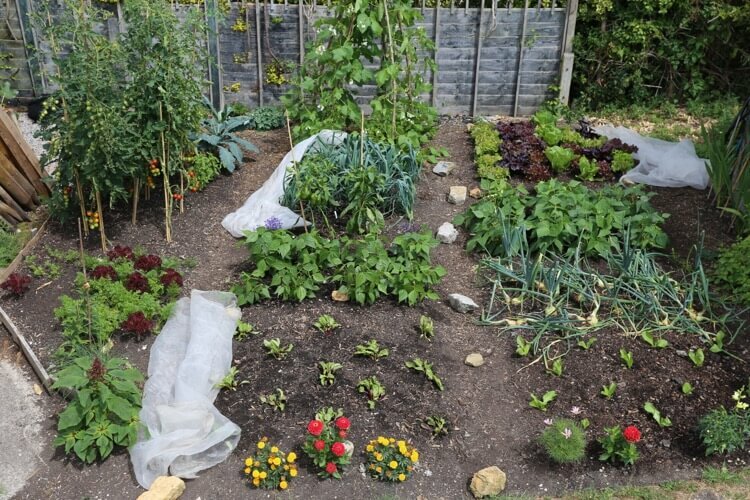 There are many reports on social media of great results from multisowing many veg. Do harvest it if you have not already. Tops are better half green at harvest. 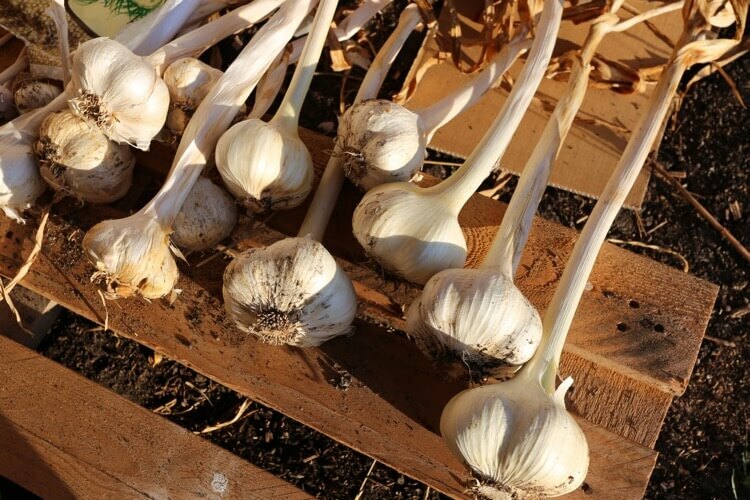 If mostly died off, the skin around each bulb’s cloves will be decayed and they look shabby. I am interested to see healthier leaves on tomatoes in the greenhouse compared to the polytunnel, where leaf roll is common. 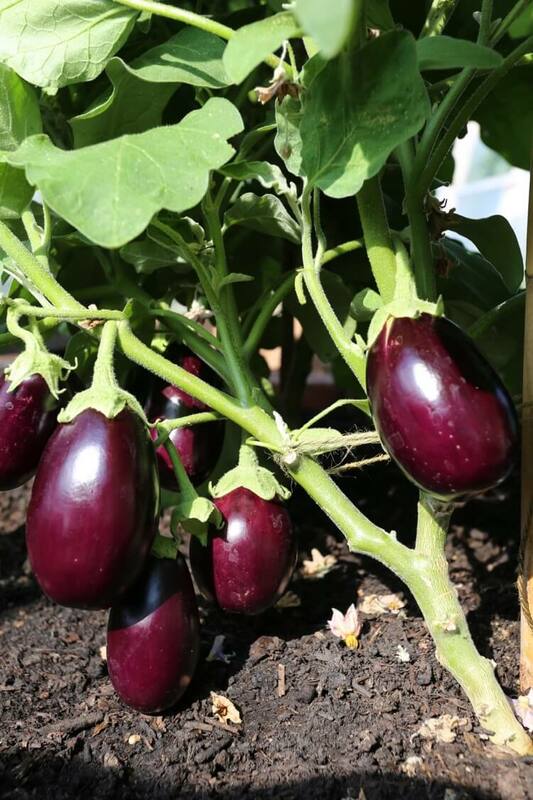 Aubergines have been amazing – but even outdoors they are cropping, unheard of hereabouts. We made a new bed over ground where wood shavings had initially mulched the vigorous weeds. Those shavings are now mulching paths elsewhere while we put compost on the cleaner ground and planted squash. Also a hedge behind of Sea Buckthorn and Amelanchier Lamarckii (Juneberry). 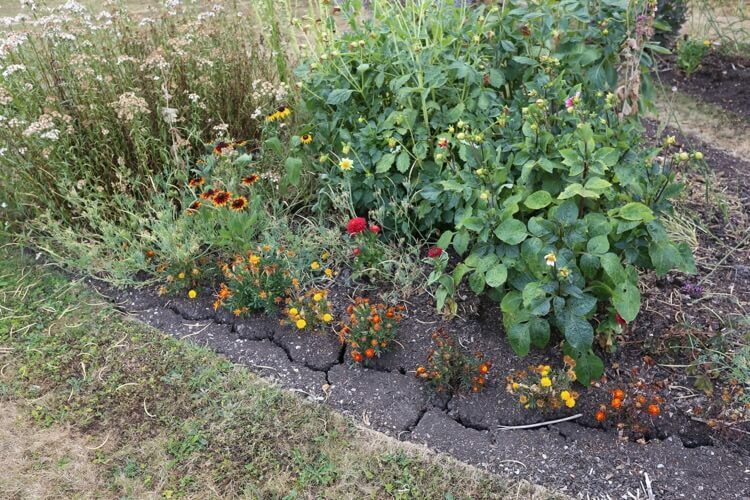 I had bindweed in my original allotment plot and by following no-dig I have got rid of it, so now in my 3rd year there is no bindweed on my plot. 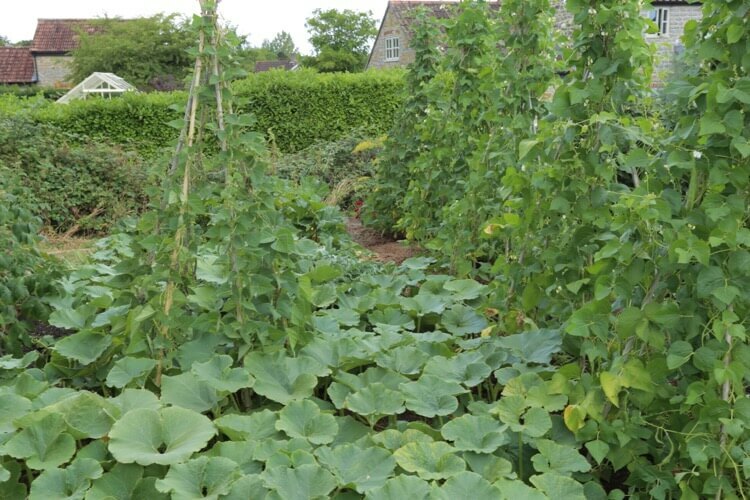 I’ve just taken over the plot next door and that has been left to grow for a number of years. 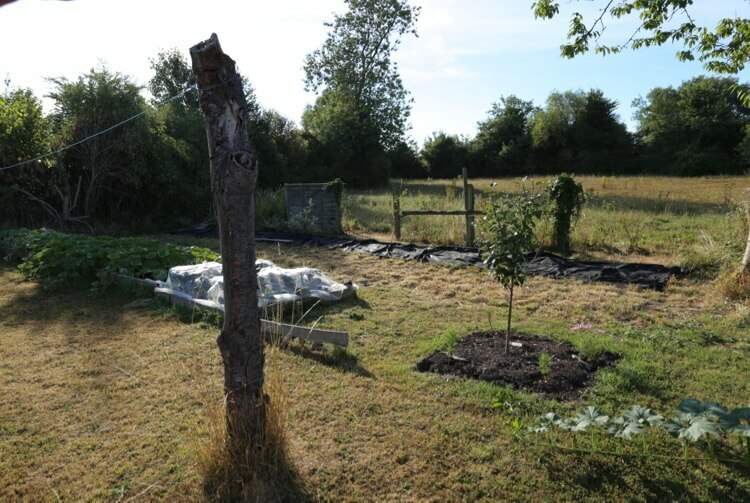 I therefore decided to take a more aggressive approach in the first year and so I strimmed it all to the ground and covered the whole area (160 square metres) with weed membrane*. 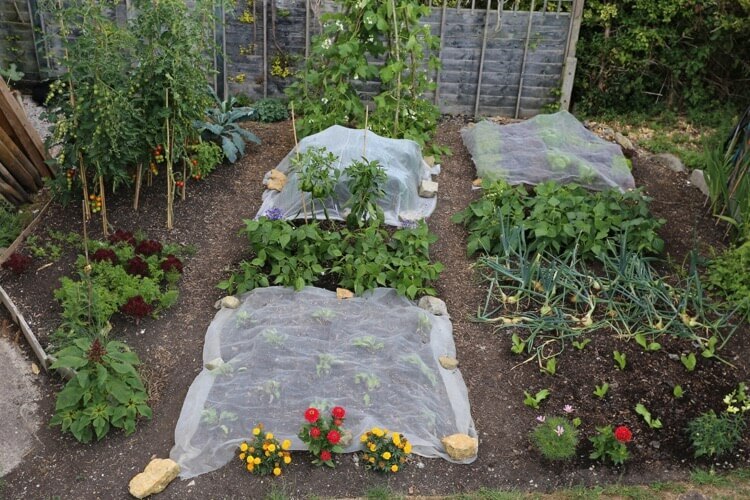 My intention is to then put beds onto it, cut through the membrane and add cardboard/compost to grow into next year. I am confident that even with 5+ years of unchecked weeds that with this approach I’ll get rid of the worst of it within a couple of years again. 1) Carrots and parsnips have grown huge despite no water since June 1st. Carrots pushing up out of soil now, so mulching necessary. A good winter crop for a Mediterranean climate, it would appear. 2) Boltardy Beetroot grew well for mid-late July harvest, seeds germinated on 27th March, no watering after June 1st. Good summer food in arid summer. Other later beetroot also OK once established but very susceptible to heat and drought immediately after transplantation. 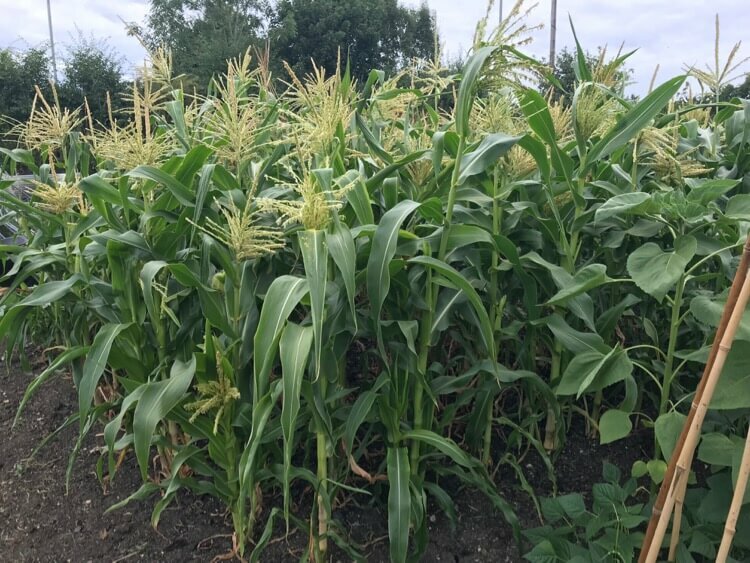 3) Sweetcorn has grown like the wind, higher than ever before despite later planting out. We await cob formation imminently. No watering since June 21st. 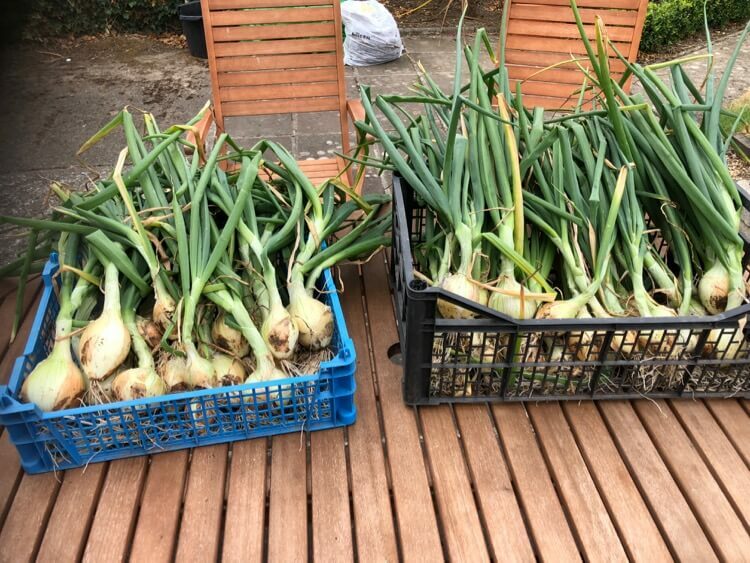 4) Onion sets and Zeebrune Shallot clumps (seeds from Pennard were excellent) ready for harvest earlier than normal but reasonable sized onions and OK shallot clumps. 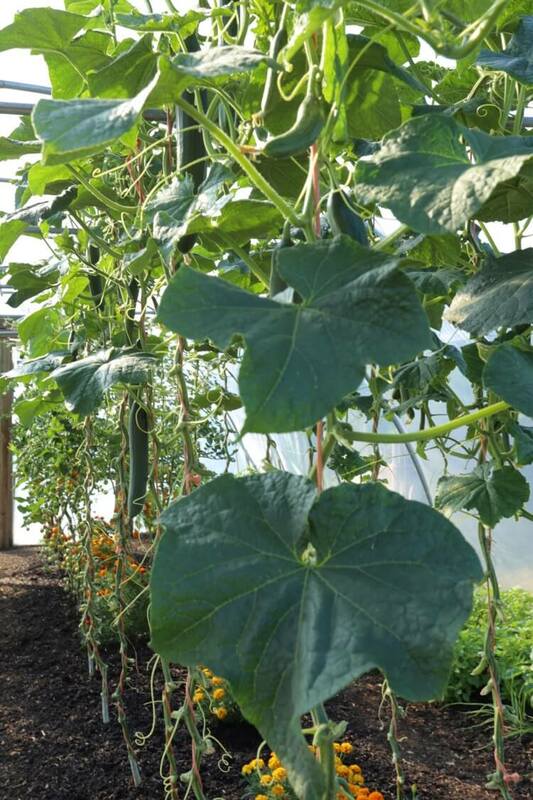 5) Courgette, dwarf beans, pole beans all struggle in drought. Dampness more important than heat for these crops. 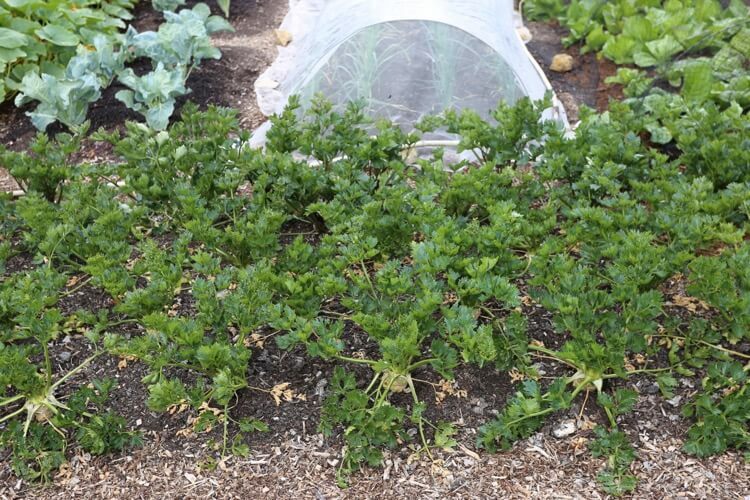 6) Celery and Celeriac surviving ok to date. 7) 2nd early potatoes again poor yields plus some scab (2017 had similar drought, less hot). I used a mulch of overwintered leaves+grass but rain was scarce even in May. 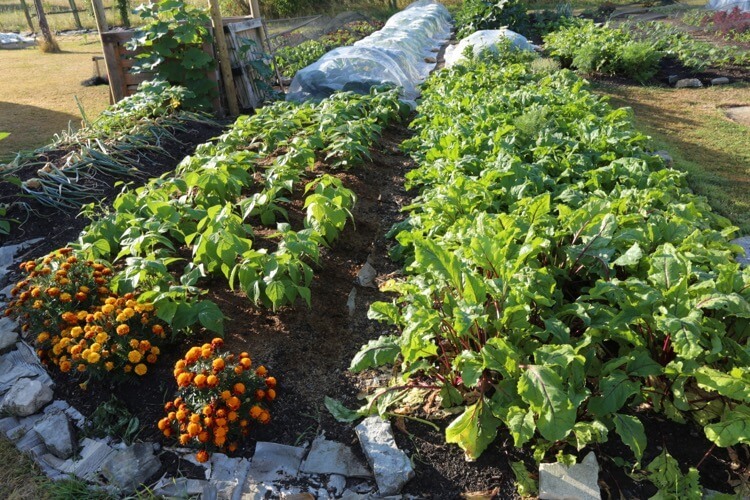 Potatoes thrive better in Western areas in drought years. 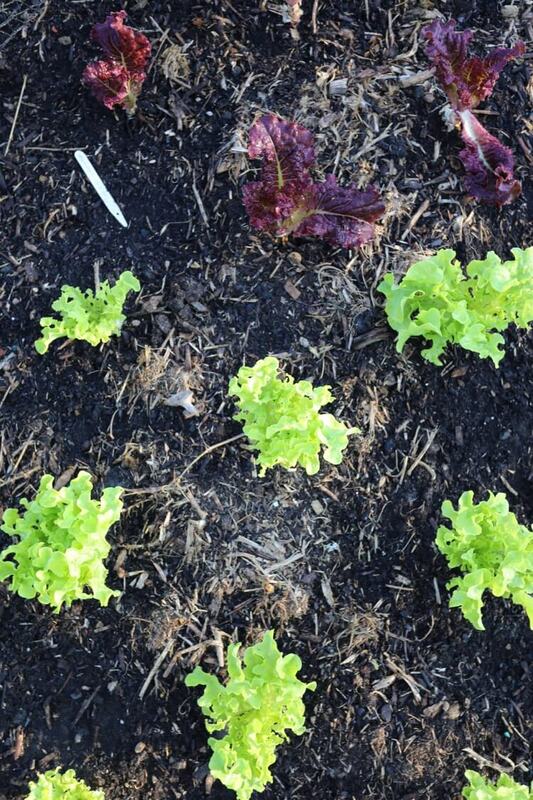 8) Lettuce PACA went to seed same time as last year, last week if July. Watering has little effect on that. Canasta thrives on less water once roots are established. 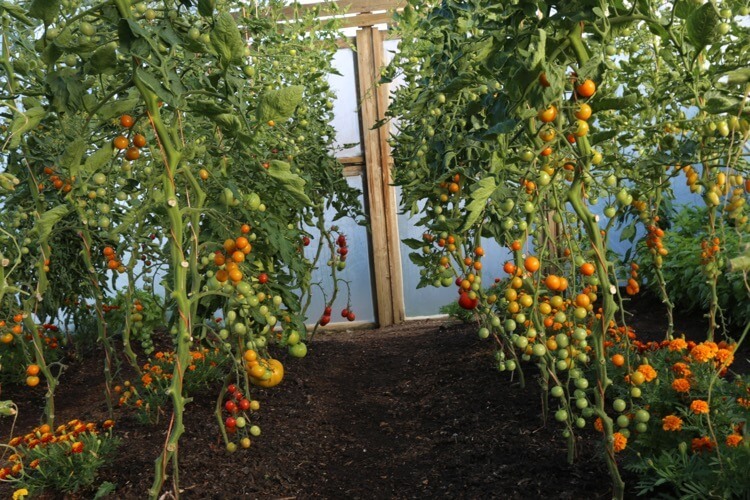 10) Tomatoes in pots have done best in shaded areas, saying with heat, direct sun is less important. Alicante has adored the heat, ditto black cherry. Maskotka thought it was too hot. 11) Maincrop potato plants starting to struggle, may or may not perk up after rain today. Last year August rains brought good crop, this year’s prayers must be said. No dig beds show generalised cracking. Re permeable membrane. I use it but after cutting I turn a double hem on cut edges and run it through the sewing machine using polyester thread so no fraying. Stapling the hem also works. 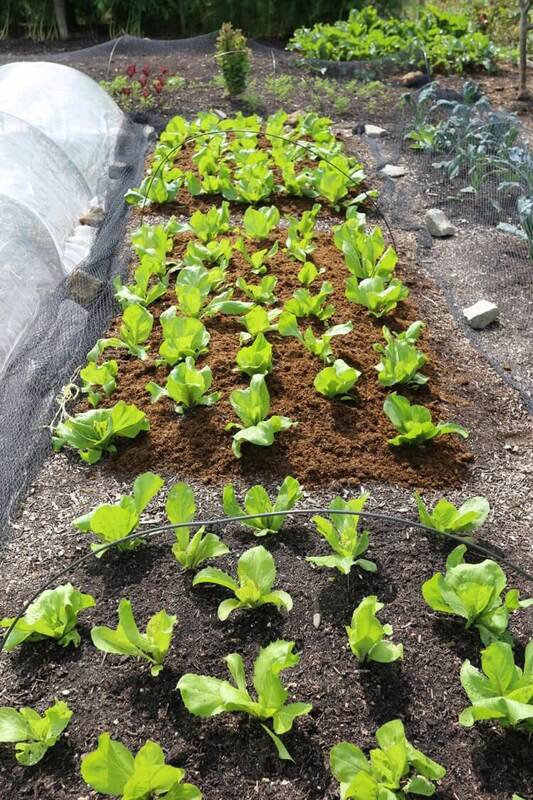 My cos lettuce was last to go to seed after oak leaf. I read that pulling and transplanting lettuce can delay going to seed, so I pulled one plant and transplanted into a different section to see what happened. Well, the original plants are now pushing up to seed but the transplanted one still giving good leaves to pick. The new seedlings now in and loving the rain! Cabbage whites have had a field day with my Cavolo kale, picked off hundreds of caterpillars but not before thy ruined the leaves. Have stripped outer leaves and there are small new central ones, keeping an eagle eye on them, fingers crossed. 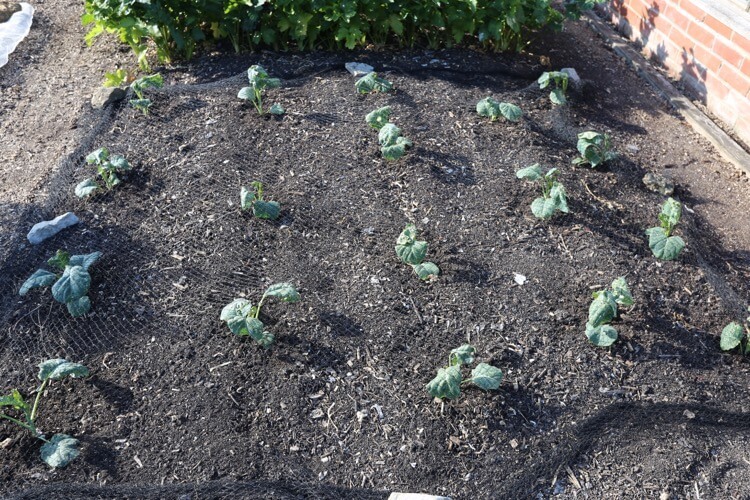 The new kale seedlings are thoroughly netted! 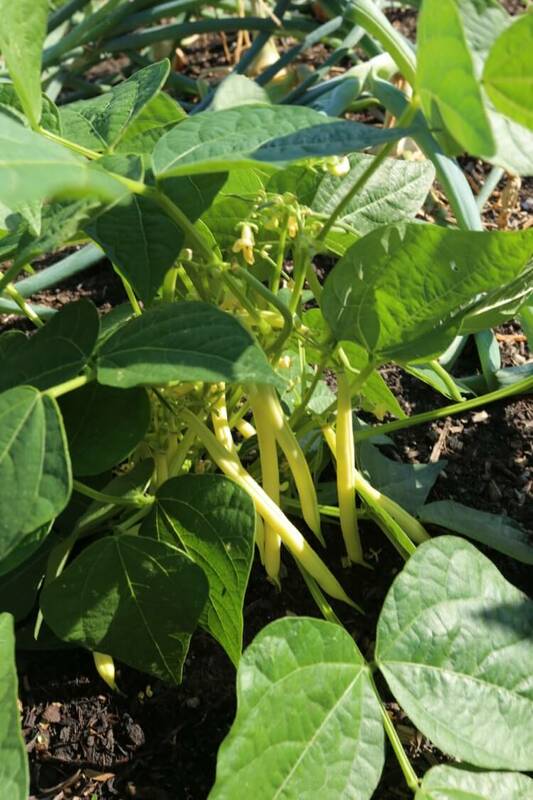 Yellow bush beans very prolific and revelling in lovely sweetcorn nd sun gold tomatoes. 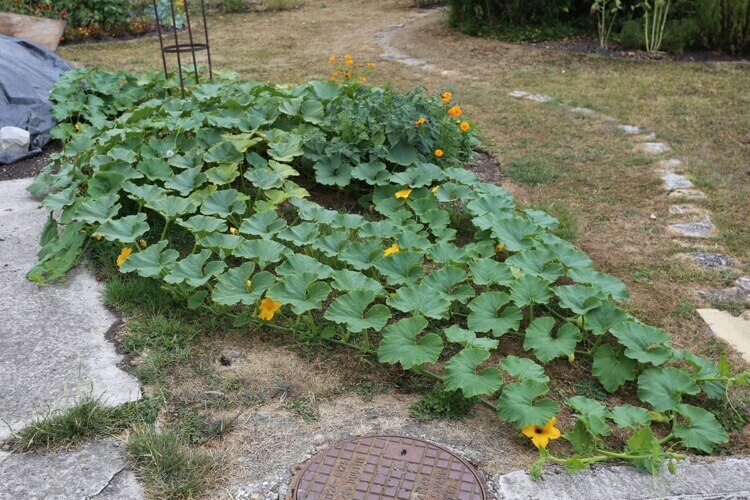 Crown prince and Kuri squash in the big compost heap are magnificent. Kallettes doing well, had them netted from small. As we are vegetarian, we are eating from the plot now, picking every day for colourful Buddha bowls. Having a novel couple of days feeling slightly cool! Thank you for very useful pointers, Charles. Unfortunately, I shan’t be able to garden much till next year which leaves the winter mulch as a concern. 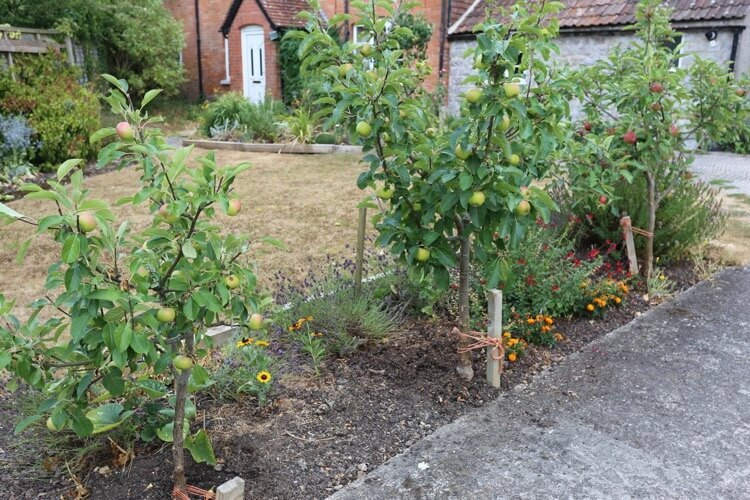 I don’t have much choice this year, but generally, is it ok to mulch anytime, and winter is the norm because many beds are empty? 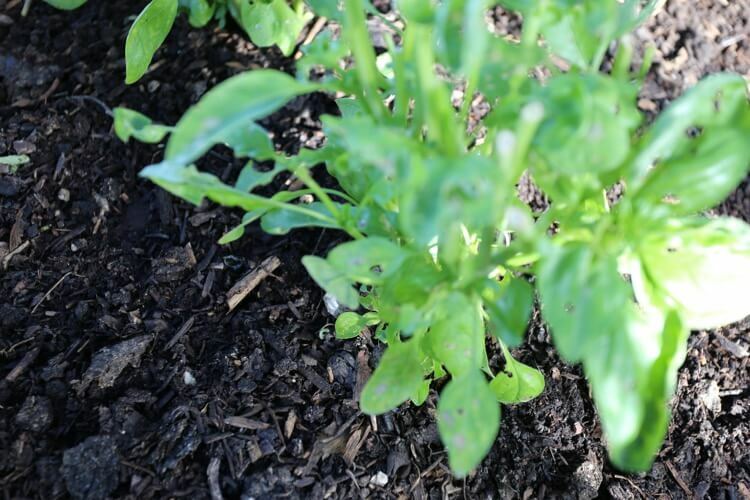 It’s good to see you mention chicory as it’s so good to grow: rapid germination and growth with brill pest resistance. I’d thought it deserving of a video, including maybe useage? Thanks for inspiring us – I wish you’d take up beekeeping, it desperately needs your clarity!! Thanks Dalesman, I should love to do a chicory video, if we can make time. 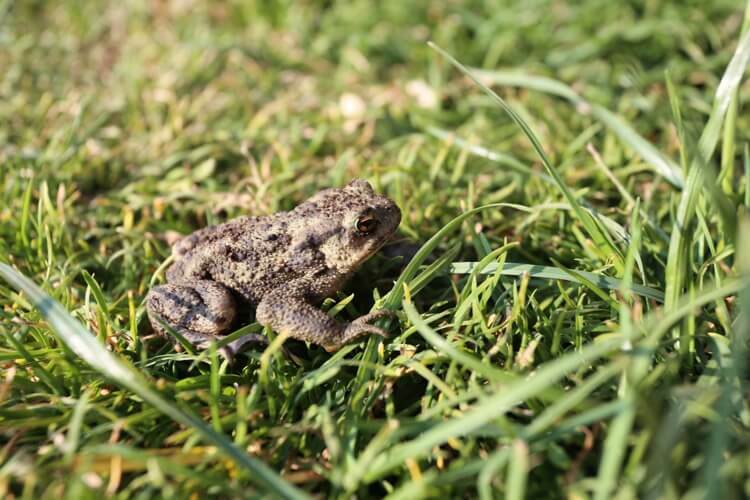 Yes mulching is autumn because crops finish then + it’s damp & worms are up near the surface. But you can mulch at any time of year, especially when the soil is moist. So carry on, and I hope your winter goes ok.
Hi Charles, UK weather seems quite a bit different from Southeast USA. 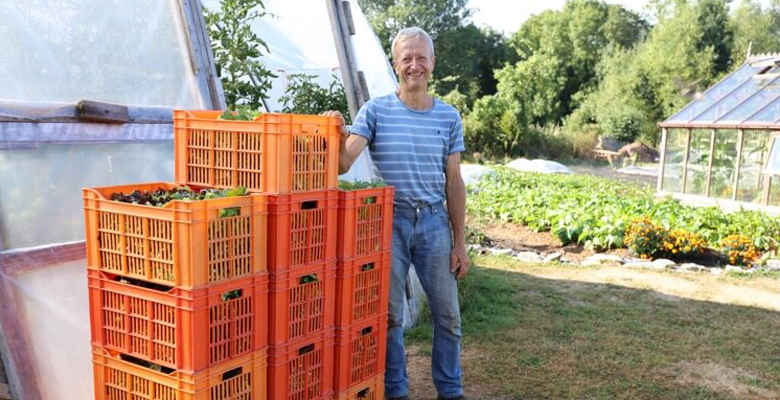 We have had a very, very wet summer (in late May, we had almost 2 weeks of continuous, heavy rain every day)…made disease (blight and wilt) a bit tricky on tomatoes and peppers. I am curious though how you decide to use F1 hybrid seed vs open pollinated. In the US, it has been very popular lately to use only open-pollinated seeds (sometimes called “heirloom” here) but in my experience, much of the OP plants are not near as productive or hardy as the F1s. Based on your videos and posts, you use both…I’m just wondering how you decide which? Amazing weather Henry and the other extreme. 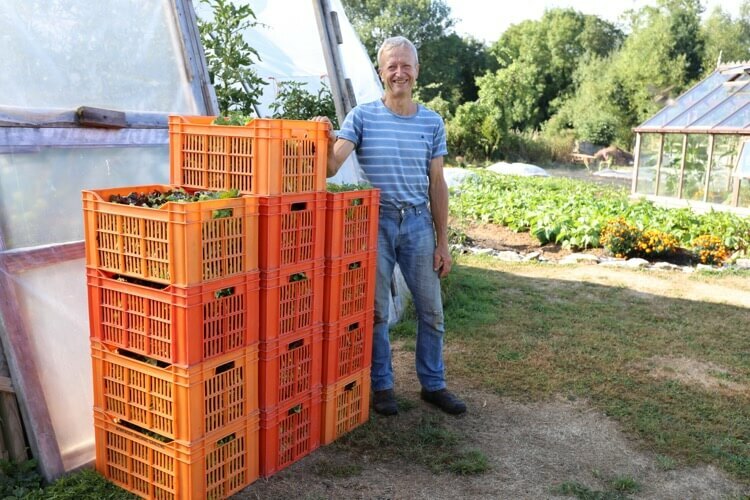 I choose F1’s when I know from experience that they give big/early/reliable harvests, and sometimes better flavour too as with Sungold F1 tomato. I prefer to use OP varieties, except where I know or expect a clear difference in favour of hybrids.